Richard Mollet joined RELX Group in January 2016 leading the government relations teams in the UK, France, Germany, Netherlands and EU institutions. He also has responsibility for leading RELX’s Global Copyright Steering Committee and the company’s Brexit Task Force exploring the impact of the UK leaving the EU. Prior to this role Richard was chief executive of The Publishers Association (2010-16), the UK’s leading representative voice for consumer, education, academic and professional publishers; and in this role was concurrently chair of the Alliance for Intellectual Property. 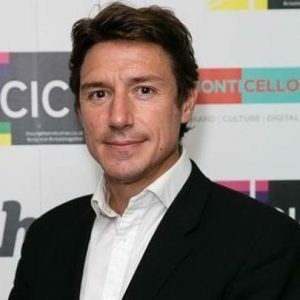 Previously he was director of public affairs at the BPI (British Recorded Music Industry Ltd) (2006-10), following on from some 12 years working in various political consultancy roles with Fleishman-Hillard and Edelman. Richard has a BA (Hons) in philosophy, politics & economics, from Worcester College, Oxford University. He was the parliamentary candidate for the Labour Party in South West Surrey in the 2010 General Election. RELX Group companies include Elsevier, the world’s leading provider of scientific, technical and medical information, Lexis Nexis Legal & Professional, Reed Business Information and Reed Exhibitions.